Khalid unveiled his latest single, titled “Talk,” as Zane Lowe’s World Record on Apple Music’s Beats 1 today (Feb. 7). The song was produced by English electronic duo Disclosure. The Grammy-nominated artist previously teased “Talk” with a 15-second-long video posted on Jan. 27 of him listening to the midtempo, R&B-tinged song inside of a car. Khalid accompanied the announcement with the song’s cover art, which depicts a drawing of a purple wolf behind orange flames. 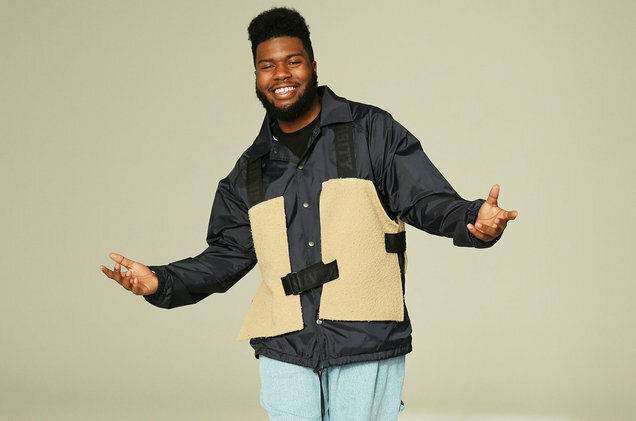 Since his 2018 EP Suncity, Khalid has been busy collaborating with Normani, Shawn Mendes, Kane Brown and Post Malone, among others. “Talk” will appear on Khalid’s sophomore album, due this April. Listen to Khalid’s latest below.